Sony Will Change the NGP (Next Generation Portable) Name ~ " World Information "
Jakarta - Sony's latest handheld gaming device, the Next Generation Portable or NGP, reportedly will not be released with a name that is known now. Sony plans to change its name. Indeed, when introduced earlier this year as Sony calls it NGP. It said Sony, the name is just a code name and will not so use the name. 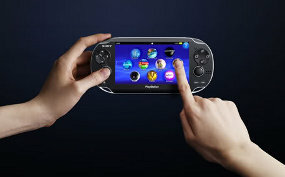 Sony will use another name when the console is scheduled to be released in late 2011. The name of the selected Sony as a replacement NGP, as reported by TG Daily and quoted on Tuesday (31/05/2011), is the Playstation Vita. This rumor was widely heard as the increasingly close game event terakbar Electronic Entertainment Expo (E3), which will take place in Los Angeles, United States (U.S.) next month. Site Gamespundit who first leaked, claiming to get this information from the internal Sony who asked not to be named. Sony, however would not confirm it before the device is actually launched.